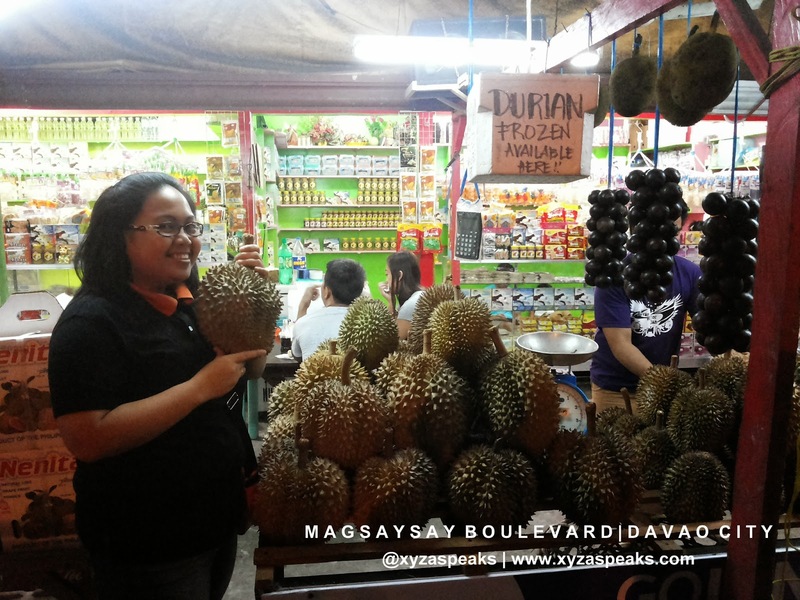 The Magsaysay Park has been known to many because it’s the favorite place of durian and mangoesteen lovers in Davao City. They may not be serving the cheapest durian fruit and candies but it became a landmark of Davao City, that when you are looking for a durian haven where you can eat and go, then it’s at Magsaysay. Oh well, it’s actually the tourist and the transients who visit this place most often. 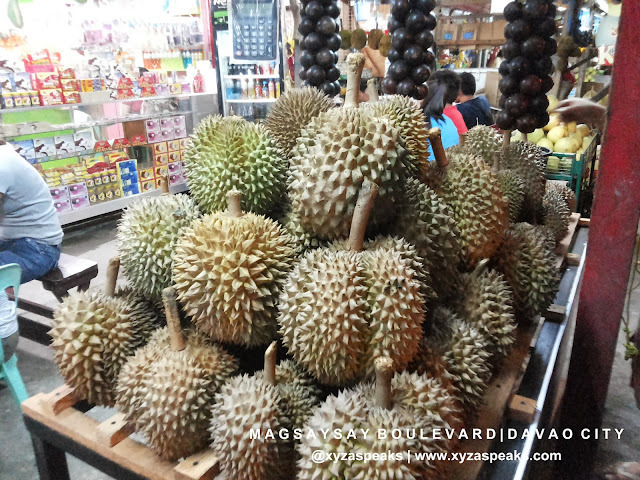 Because if you have a Davaoeño with you, they will surely bring you to Bangkeruhan for a cheaper deal of this yummy durian fruit. And since I’m travelling with the first timers and not really budget conscious group, we’re here at Magsaysay Park Durian Vendors Association. Sharing you some of the crazy things we did. 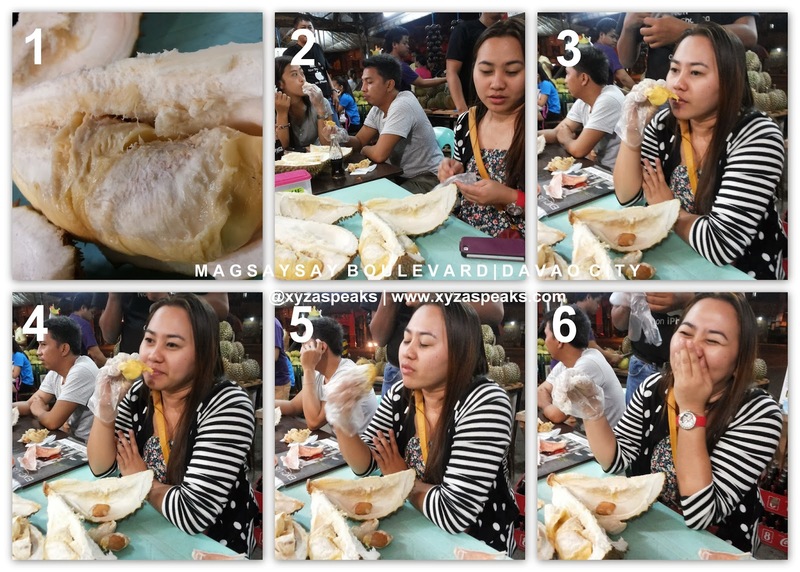 And see how we consumed 3 varieties of durian and a kilo of mangoesteen in one setting. Wew what a meal! 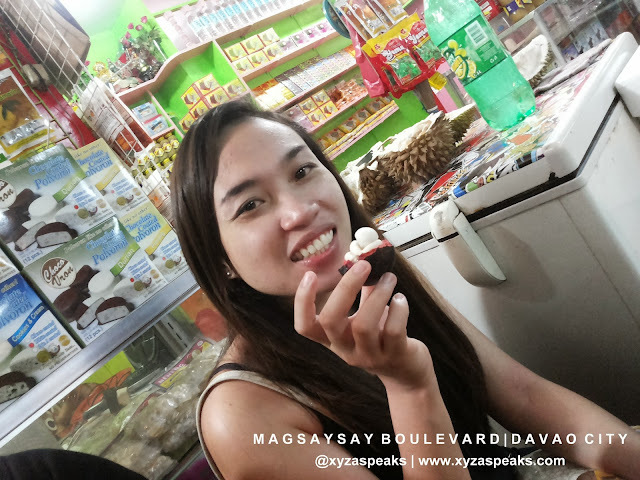 From Toryano’s Chicken Haus we hop in one of those colorful taxi’s in Davao City and told the driver to bring us to the famous Magsaysay Boulevard. 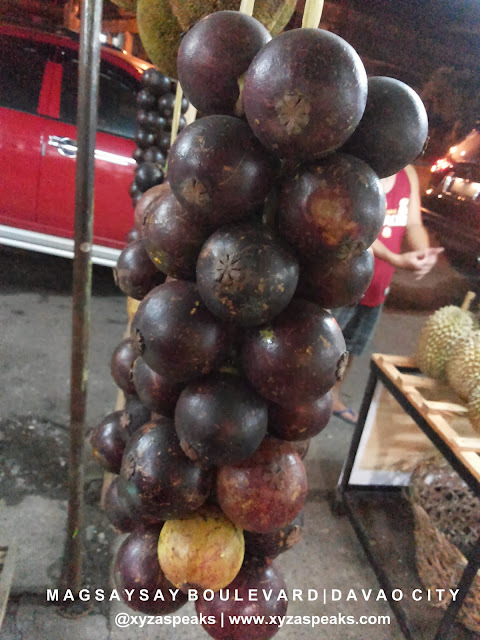 #TravelMindanao Davao City destinations Magsaysay Fruit Stalls Mindanao Where to Eat?